Becky Vickers(BECKS) - Everyday Ghost Hunters/Goatman's Bridge Ghost Tours: THE MENGER HOTEL- GHOST SIGHTINGS AMOUNG GUEST ALMOST NIGHTLY!!! 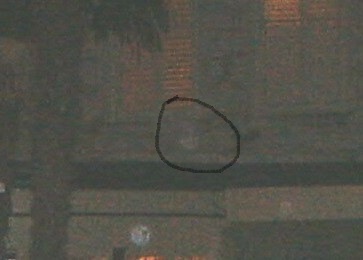 THE MENGER HOTEL- GHOST SIGHTINGS AMOUNG GUEST ALMOST NIGHTLY!!! The Menger Hotel in San Antonio is one of the most haunted hotels in Texas. It was built in 1859 on the site of Menger′s brewery and is haunted by a number of ghosts. Gutson Borlum was the sculpture of Mount Rushmore and was known to spend many, many hours out in the garden of the Menger Hotel. Let me tell you, I did my research paper on this hotel and I had to many experiences to list. I loved it!! I read tons about the "spirits" that linger here and from what I have read some of them are not very nice!!!! But I have to tell you...I stayed two nights here alone in supposedly the most haunted room in the hotel and never felt any kind of evil spirits at all!!!! But DID I FEEL spirits around????? YOU BETTER BELIEVE IT!!!!!!!!! The above picture I believe is Gutson Borlum. I think you can make out his facial structure, eyes, mustache, and even what looks like a hat. I showed my picture to the manager and he instantly took me to the second picture and said" so, you met Mr. Borlum did you?". There are many more stories I could tell about this hotel but for now, I'm going to stop. Don't want to wear out my welcome you know. By far, this hotel is one of my favorites. You got to check it out!!! !